In today's challenging business environment, careful planning and utilization of commercial spaces is a BIG concern. Duadaya Interior Sdn Bhd was established to deliver innovative solutions to transform and optimize interior spacing. 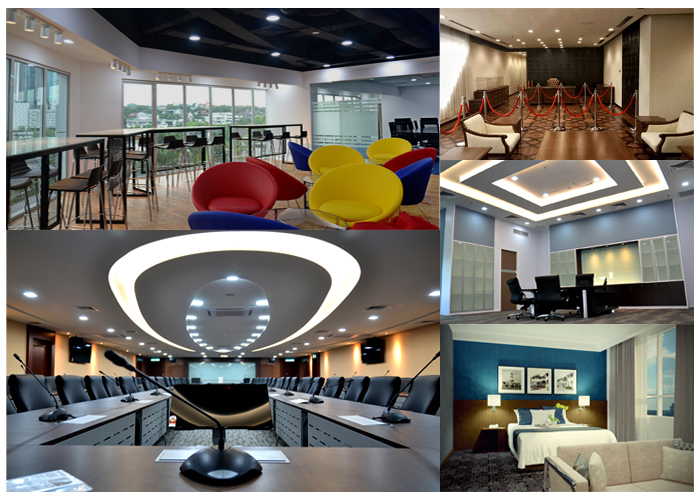 Since its establishment in 2010, Duadaya Interior Sdn Bhd has been actively involved in Interior Fit Out & Renovation Works and offered interior architectural services to suit client's best varying needs. A skilful team that has been in this arena for more than 15 years. Experienced as consultant, managing projects, contracting works and managing post-contract defects. The essence of Duadaya is high discipline and good understanding of a client's business. Each project will be uniquely tailored towards CLIENT's SATISFACTION. For jobs assigned to our sub-contractors, quality and workmanship are personally supervised and monitored by our team of Project Coordinators and Supervisors. Given the opportunity, Duadaya Interior Sdn Bhd team is honoured to give you more insight on our services.